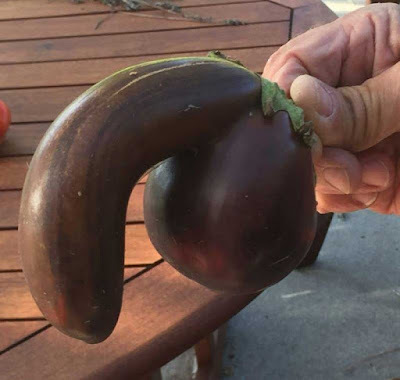 An aubergine, grown in Cambridge, New Zealand, is being sold to raise money for charity. The organically-grown variety, called Black Beauty, is for sale on Trade Me. The bidding closes on May 21 at 3.12pm. 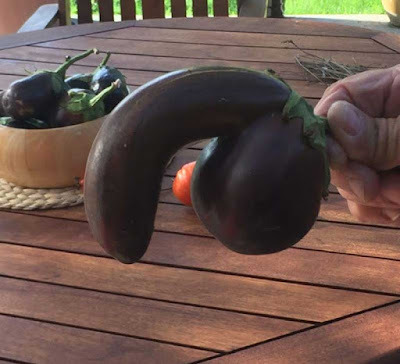 It's the first one of that shape we have seen," said Jeff, not his real name, whose dad grew the fruit. Jeff and his father say the money from the sale will be donated to the Prostate Cancer Foundation. P.S. : Note to non-Brits: Aubergine = eggplant.